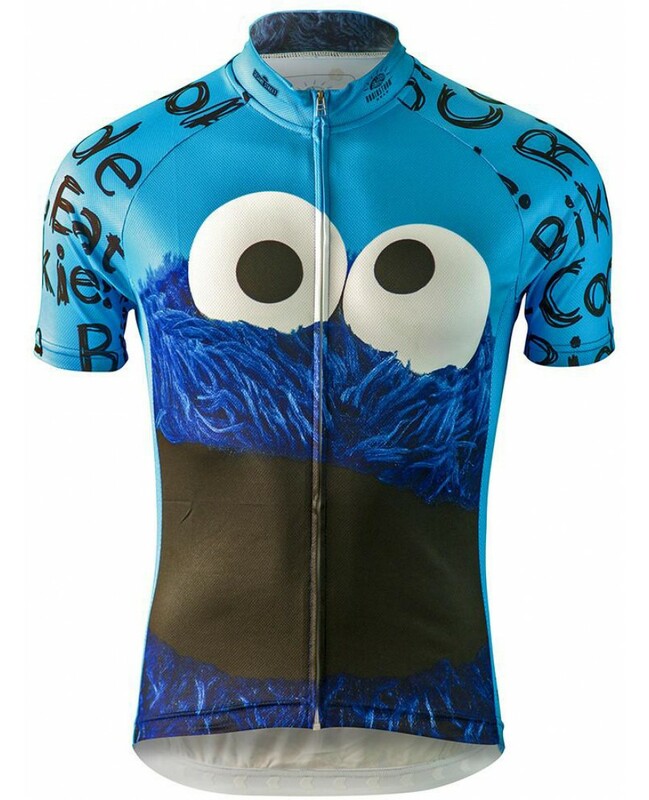 C is for .. Cycling? 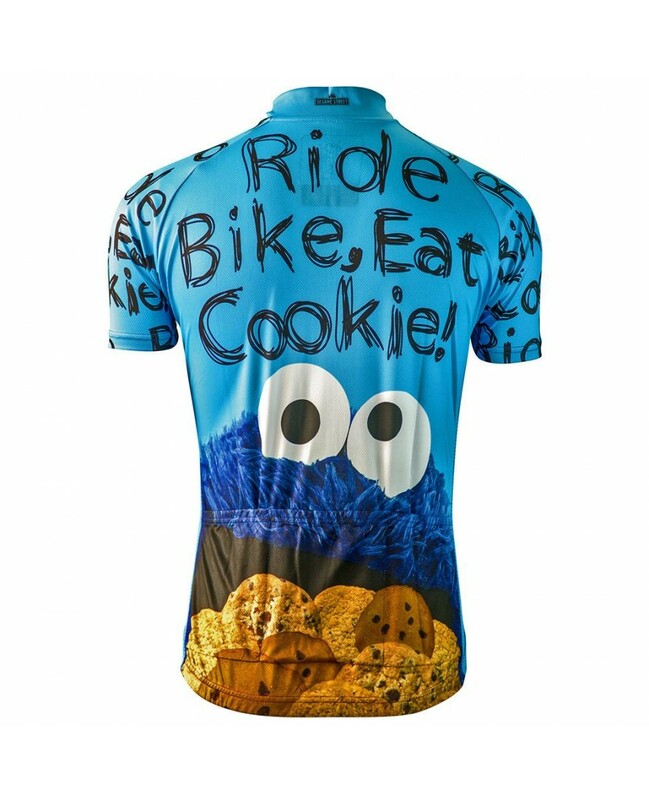 For over forty years Cookie Monster has been warming our hearts and delighting audiences with his hilarious antics and obsessive behavior. 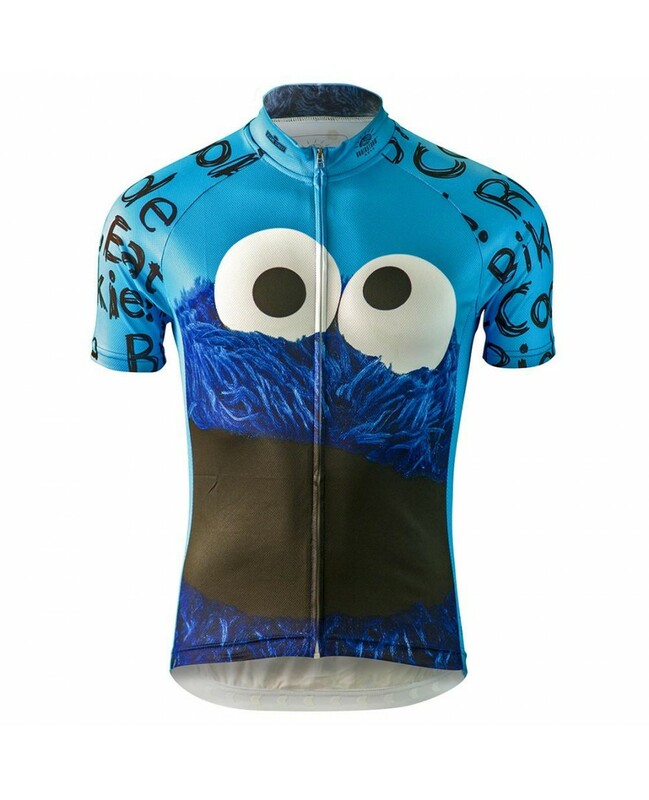 You'll eat the miles up in this fantastic new performance jersey featuring our favorite furry blue monster. Full length front zipper and three rear pockets for storage.